2009 Fall Fun Guide— First Web Version! This is the second year for the “Fall Fun Guide” and this is the first year it has officially gone online. Putting it online allows me to add content as new content is available or changes, so come back often. This guide takes a lot of work to put together and many of you have emailed with wonderful praise about last year’s emailed version and the Summer Fun Guide — if you wouldn’t mind sharing your kind words in the comments section, that will help keep myself and merry band of volunteers going with further editions of the Summer Fun Guide and the Fall Fun Guide and will let my blog readers (and advertisers) know that this is a well-read part of our site. Enjoy — from one mommy trying to keep the FUN in Fall to another! Content may include language pulled directly from websites, brochures and other promotional materials for the sake of accuracy and clarity. This guide is mostly a compilation with some additional narrative interjected. Significant sources of information include the Fairfax County and Loudoun County government web sites and for the pumpkin patch section some sites were originally selected out of the Our Kids Newsletter (www.our-kids.com). Looking for fun things to do by date? Click here! Bargain hunting? Check out the Fall consignment sales. Beautiful Fall day? 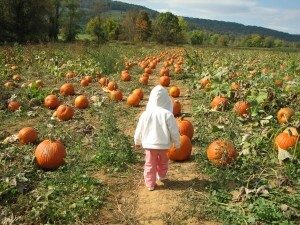 Go to a park or check out the pumpkin patches, farms and corn mazes! Just bumming around? Look at the “anytime activities” page. Planning ahead? Check out the classes/events/festivals and more page or day and weekend trips page. Many thanks to Cheryl Moxley for her work on the first edition of the Fall Fun Guide. I’m already working on the HOLIDAY FUN GUIDE — do you know of fun events in November, December, or January? Fun Thanksgiving, Christmas, Hannukah, New Year’s or other holiday-related events? Let me know and I’ll see about including them!